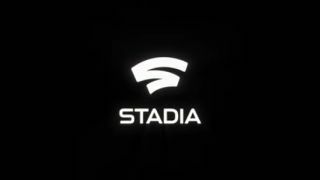 Google announces Stadia gaming service with 60fps 4K support | What Hi-Fi? At today’s Game Developers Conference in San Francisco, Google announced its new cloud-based video gaming platform, set for a 2019 launch. The game streaming service will offer a wide variety of games that can be played on TVs, computers, tablets and smartphones - any device that can access Google Chrome browser, essentially. No console, and "no download, no patch, no update, and no install" is required, said Google gaming guru Phil Harrison. Late last year, Google prototyped Stadia technology – then dubbed 'Project Stream' – giving users the chance to play Assassin’s Creed Odyssey in Google Chrome. And now, that service will very soon be a reality. Stadia will be launching this year in select countries including the UK, US and ‘much of Europe’. Google’s goal is to make some of those online games available over its network in 4K at a silky smooth 60 frames per second (for those with the internet capability), with HDR and surround sound audio also in Google’s launch plans. It’s already looking forward – and no doubt hoping to steal headline – by mentioning its plans to offer 8K in 120 frames-per-second games down the line, too. USB controllers can be used with Stadia gaming, although Stadia subscribers may want to purchase Google’s dedicated Stadia gamepad, which has a direct connection to Google’s gaming data centre via wi-fi for stable gaming. It features a button for instant capture, saving and sharing gameplay in up to 4K, as well as one for Google Assistant to make use of its built-in microphone. Google will announce more information in the coming months, but with a launch date later this year, and bearing in mind Microsoft's forthcoming rival Project xCloud service and disc drive-less Xbox console, 2019 could shape up as the year that truly kickstarts console-less gaming.